In 1994 events occurred in Rwanda which, to this day, continue to shock. One million people were killed in 100 days in a slaughter that was premeditated. The expectation of it, and the sense of resignation which was ingrained in victim and oppressor alike, meant that an appalling tragedy had been waiting to happen. 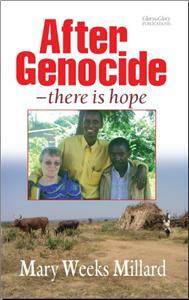 This book is not a detailed exposé of the tragedy, nor does it try to answer the question “Why?”. Whilst it does touch upon both these things, the book instead focuses on the possibility and the reality of fundamental forgiveness. This forgiveness is seen through the eyes of one man, Stephen Gahigi (now a minister of the Anglican church in Rwanda). Stephen's family suffered terribly in the epicenter of the murderous events, yet the Lord's hand was unquestionably upon that family. Fleeing from their home, experiencing exile, and later returning to Rwanda – and then ministry in prisons, delivering love and reconciliation directly to the oppressors – this is a story of numbing intensity and yet genuine hope. There can be few Christians who have not struggled with the need to forgive, and Stephen Gahigi's story begins to show how this is possible. Not since the Holocaust perpetrated against the Jews of Europe has there been a genuine attempt at genocide (in spite of the attempts of modern media to dilute the word 'genocide' by applying it to any situation of warfare). The devilish similarities between the European genocide and its more modern African counterpart are notable to those with any insight in to the former. Any issues that we, as individuals, may be called to forgive probably seem inconsequential in the light of the events in Rwanda, yet the principles set out in Stephen Gahigi's story are universally applicable. Mary Weeks-Millard deals sensitively and wisely with the horror, weaving enough of the awfulness into her story to highlight the cost of forgiveness whilst being reticent in recounting the appalling savagery. Reissued now with a helpful short section of Bible study notes, this book has real value both to Christians and to non-Christians who want to get an insight into Jesus' central command that we should forgive others – as we ourselves have been forgiven. Christians and non-Christians. Helpful for those who want to get to grips with the need to forgive and the consequences that flow from the act of forgiving. Definitely has potential for group work, but equally usable for individual reading. A powerful book. Mary Weeks-Millard is a former mission worker in Rwanda and Uganda. Married to The Rev Maurice Millard, she lives today in the UK but still has opportunities to visit and work in Africa.